DCD’s event in London this November will focus on what is next for the data center industry after GDPR and Brexit. Industry experts from Interxion, EdgeConneX and 451 Research will explore the challenges for EU data center consumers, operators and service providers who must decide between on-premise, colo and cloud facilities. A few months into the requirement to comply with the EU’s general data protection regulation (GDPR) and with Brexit less than a year away, DCD>London, will gather over 1500+ professionals at the Old Billingsgate venue on 5 to 6 November. 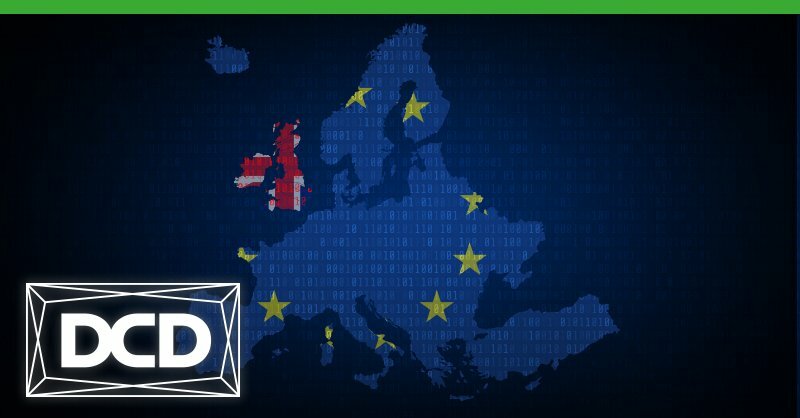 The big questions will be how compliance with the uncertainties around Brexit will impact the data center industry, while industries and services continue their rapid adoption of hybrid IT solutions. “As GDPR has come into effect, the location of your data has become important”, says DCD’s global editor Peter Judge who will be speaking at the event. ”How is your data derived, where does it come from, and how it is used, stored and processed? These are important questions organiizations, and third parties such as or cloud providers, who need to watch for breaches of GDPR. ”Services firms who cannot show adequate measures will lose out as organizations review their data management processes,” adds Judge. Meanwhile, European data center hubs such as Frankfurt, Paris, Amsterdam and those in the Nordics and Ireland are experiencing strong growth, as the industry speculates how Brexit will impact new builds in the UK. “Whether it will be UK versus Eurozone remains to be seen post Brexit. However, uptake in cloud services and the move towards a digital economy will most likely ensure that London keeps its position as the leading data center hub in Europe”, says Matthew Larbey, managing director UK & Ireland at EdgeConneX who will be speaking at the event. “The industry needs to attack the challenges from both a regulatory as well as technical angle, where technologies such as AI, machine learning and edge are becoming more relevant”, adds Larbey. The event will feature speakers from Equinix, Switch, Facebook, IBM, Microsoft, Verne Global , Vodafone, DigiPlex, Schneider Electric, Vertiv and many more. Event News What does DCD>London registration data tell us about the market? Event News Will 2019 be the year liquid cooling becomes mainstream? Event News Data center as part of the urban energy challenge? Event News Are hyperscale capacity demands br(e)aking the model? Event News How will Edge alter investment in the telecoms sector?